Another big error of the project designers - they forgot to take into account the earth’s curvature. Due to this factor, the SBX would not be able to see a baseball around 2,500 miles away, unless the ball was travelling at an altitude of 870 or more miles above San Francisco. Technical experts told the Los Angeles Times that this is about 200 miles higher than a conventional missile would travel at if it was heading for the US. “In the practical world of ICBM [inter-continental ballistic missile] threats, this baseball analogy is meaningless,” said C. Wendell Mead, an aerospace engineer who served on the National Academy of Sciences panel. 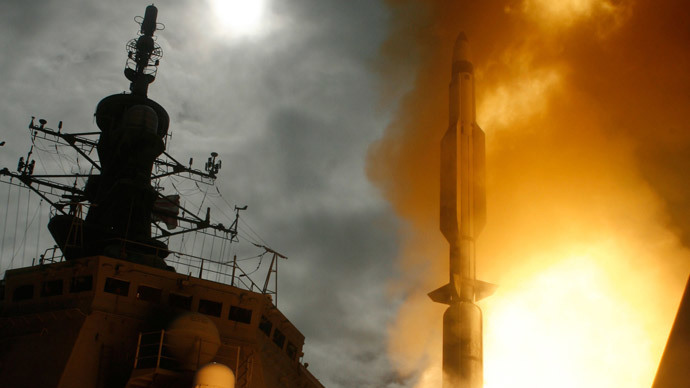 David K. Barton, a physicist and radar engineer who took part in the National Academy review, was also scathing towards the SBX’s inability to track missiles. He said the project was useless as the radar system was required to track incoming weapons from “cradle to grave,” in order to give rocket interceptors enough time to eliminate enemy missiles – something the project was unable to do. Despite being a colossal waste of tax payers’ money, critics also said that it left a hole in the US’s defenses. Experts said the money could have been better spent on land based radar systems, which would have had a better capability of tracking long range missiles. The MDA was set-up during Ronald Regan’s presidency and has a budget of $8 billion and employees just shy of 9,000 people. Another embarrassing failure for the MDA was Airborne Laser system, canceled in 2012, a decade after it was envisaged. The project would incorporate converted Boeing 747s which would fire laser beams at missiles soon after they were launched. The only problem with the $5.3 billion project, was that the lasers could only be fired from a short range, meaning the planes would have to get very close to where the missiles were to be launched from and would be sitting ducks for missile defense systems.